Home / Unlabelled / Obiano Mourns Ojo Maduekwe, Elechi Amadi. Obiano Mourns Ojo Maduekwe, Elechi Amadi. The Governor of Anambra State, Chief Willie Obiano has expressed shock at the passage of former Foreign Affairs Minister, Chief Ojo Maduekwe and the notable novelist, ElechiAmadi whose deaths occurred on yesterday. In a statement from the Governor’s Lodge, Amawbia, the Governor said the that late Foreign Affairs Minister who also held the position of a Transport Minister in his rich career in public service passed on at a time when Nigeria needed him most. Governor Obiano who spoke through his Senior Special Assistant on Media, James Eze, remarked that Chief Maduekwe was a deep thinker and a consummate bridge builder whose wise counsel would have been very helpful in this phase of the country’s growth when the very idea of nationhood was being challenged. 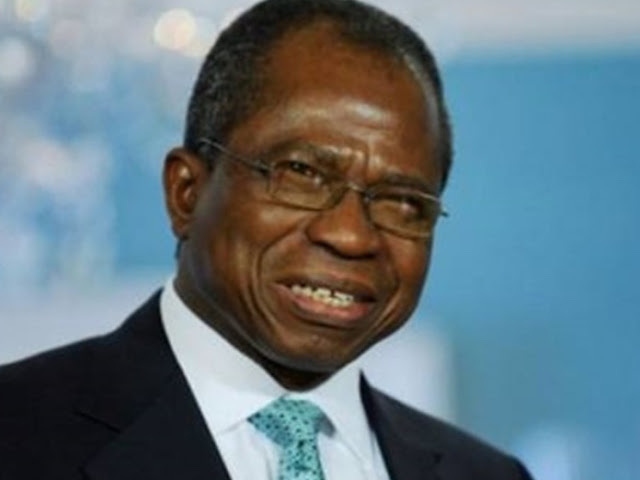 “Ojo Maduekwe was unapologetic in his views on the major themes of his time. He spoke his mind freely on any issue and helped to shape perception on matters that needed a deeper reflection from the citizens. Ojo was passionately patriotic and fearless in making his views known. We shall miss him dearly,” he stated. The Governor consoled Maduekwe’s family, urging them to take heart and find solace in the fact that their patriarch led a meaningful life and left a huge legacy that would inspire the young ones. Governor Obiano also condoled with the family of Elechi Amadi whom he described as a great man of letters. “I read The Concubine, one of Amadi’s books, when I was younger and it helped open my eyes to the many perplexities of life. I have no doubt that though he is gone, Elechi Amadi’s books will continue to speak to us through the ages,” the Governor observed. According to him, his thoughts and prayers and the thoughts and prayers of Ndi Anambra are with the governments and people of Abia and Rivers State and the families of Maduekwe and Amadi in this moment of grief and sorrow. He prayed that God Almighty would grant the grieving families the fortitude to bear their losses.